March 23rd - Featuring Puppy Freebies! -- A special day to celebrate the magic and unconditional love puppies bring to our lives. But more importantly, it's a day to help save orphaned puppies across the globe and educate the public about the horrors of puppy mills, as well as further our mission for a nation of puppy-free pet stores. 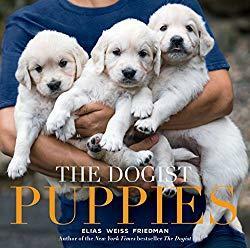 -- The follow-up to the New York Times bestseller The Dogist, is a beautiful, funny, and endearing look at puppies. Bringing his singular eye and sensibility to photographing puppies from birth to age one, Elias Weiss Friedman, aka The Dogist, captures hundreds of fuzzy faces to love and little furry bodies to covet. The Dogist Puppies is a celebration of oversize puppy paws and floppy puppy ears, puppies getting belly rubs and puppies unsure, exactly, of what that tail thing is for. Puppies at play, puppies worn out from playing. Litters of puppies with their mom, and puppies with their human equivalents — children. Puppies in fancy outfits, and those poignant puppies having to wear the cone of shame. • Little Live Pets - My Kissing Puppy - Rollie -- Rollie, My Kissing Puppy is always pleased to see you! This adorable Shar Pei puppy looks so cute with its expressive moving face. Be ready for a kiss and a cuddle when you pick Rollie up because this Lil' Pup likes to show how much they love you! 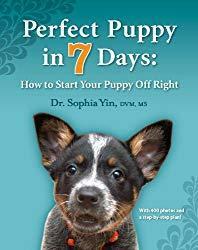 • Perfect Puppy in 7 Days: How to Start Your Puppy Off Right -- With 400 photos and a step-by-step plan, this puppy book visually guides you through socialization, potty training, and life skills while making the process fun. 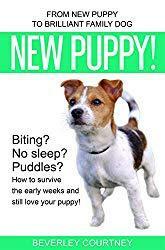 Dr. Marty Becker; America's Veterinarian of Good Morning America, says, This is like no other puppy book you've seen before. It's not just about teaching your puppy manners, it's a step-by-step recipe for bonding with your puppy, learning to communicate with him, and preparing your pup for life! 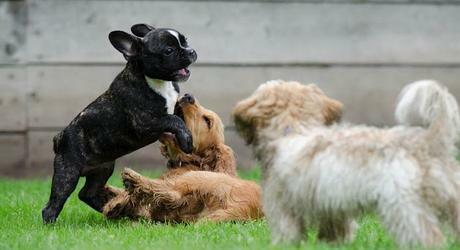 With Dr. Yin's approach, your puppy will learn more in a week than many dogs learn in a year! 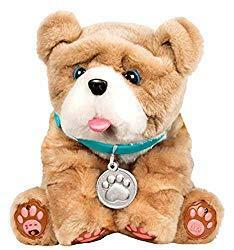  Adopting a Pet for Christmas?  101+ Frugal Dog Toys You Can Make! - On March 23, 1989, an asteroid the size of a mountain, came within 500,000 miles of a collision with Earth. In interstellar terms, it was a near miss. Had it collided with the Earth, it would have left a devastating crater the size of Washington, D.C. Its effect on the planet would have been catastrophic. - Celebrates America's favorite snack duet. If you're holding a party, it is almost certain chips and dips are on the snack list. Even if you don't have a party, you can celebrate in the evening with a bag of chips and your favorite dip. - Marks the anniversary of the World Meteorological Organization's establishment on March 23, 1950 - which provides information such as weather forecasts and mean temperature readings worldwide. - Celebrate the Dixie Cup was invented on March 23rd, 1912. The history of the Dixie Cup began when Lawrence Luellen first became interested in an individual paper drinking cup in 1907. The object was to dispense a pure drink of water in a new, clean, and individual drinking cup. In the years leading up to the 20th century, everyone drank at the public water barrel, well, pump, or spigot with a communal tin cup or common dipper. This sharing by both healthy and sick alike often was the source for spreading germs and disease. - Anniversary of Patrick Henry's powerful speech spoken March 23, 1775, for arming the Virginia militia at St. John's Church, Richmond, VA. I know not what course others may take, but as for me, give me liberty or give me death.